Setting up boxes, amplifiers and microphones are an essential part of any audio pre-show preparation. Once the show goes up great pleasure is derived from being behind the mixing console and engineering the best possible sound production for performers and audience. Audio Progress was one of the first audio companies in New Zealand to use the LEAP (Loudspeaker Enclosure Analysis Programme) which worked successfully for the design of the company’s proprietary built boxes. Recently Audio Progress introduced SMAARTLIVE to further enhance the musicality of the design in the box closures and to optimise the performance within all the sound systems EAW or JBL proprietary design. 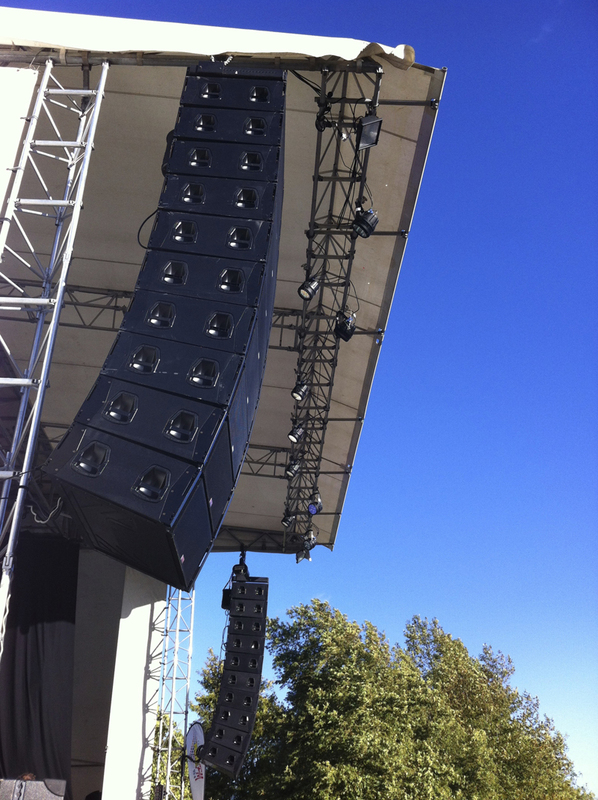 The EAW KF760 Line Array system provides an intelligible long throw sound and has been effectively used at a number of large indoor and outdoor events throughout New Zealand. Audio Progress is the only New Zealand audio company that has such a system operating twenty EAW KF760s, eight SB2001s and eight 940s powered by Crest 9200, 7200 and 4601 amplifiers with UX8800 control. To cater for a wide variety of occasions, events, conferences and performances Audio Progress use a wide range of EAW speaker boxes and digital and analogue consoles.